The name of GPTPlanet makes it sound like it might be a great get-paid-to site with good earning opportunities. But is GPTPlanet really a great way to earn or a scam? I have joined and tested the platform myself and let me reveal right away that it does not really offer what I expected. This does not mean it cannot be worth it for you, but you need to know what you are getting. In this GPTPlanet review, I will give you all the details and an inside look so you will know exactly what it offers before deciding to join or not. What is GPTPlanet and what does the site offer? When I first saw GPTPlanet.com, I expected it would be a get-paid-to site that would offer paid surveys, offers, online micro-tasks, and more as GPT sites usually do. However, I do not think the name really makes it clear what you can expect. It is, in fact, more of a PTC (paid-to-click) site, where the focus is not so much on tasks and surveys as it often is on GPT sites. The focus on PTC sites is usually more to get you to click ads and also it has a different structure and a different approach to membership levels, etc. Anyway, GPTPlanet is actually a PTC site even though it might not be clear from the name. That can definitely also be a way to earn some extra cash online, but it depends a lot on the site. So let’s go over what GPTPlanet has to offer, so you can see if it will be for you or not. The main focus of GPTPlanet is, as already mentioned, to get you to click ads as it is a PTC site. So one of the earning options is, of course, that you can click ads and get paid to do this. Examples of ads you can click to earn. The way it works is that you choose one of the many ads they have and click it. You then have to be on the website that opens for around 10 seconds, then do a captcha to prove you are human, and then you will get paid. It is very easy and does not take long, BUT as on any other PTC site, the rewards for this are NOT high. In the image above you can see that you will get around $0.001 per ad so it will take A LOT of clicks to earn any real money. And the examples in the image above are even some of the highest paying ads they have on GPTPlanet. The very low rewards are one of the main reasons I rarely use PTC sites. Another thing is that they are often full of ads that cover everything which makes it more difficult to use. That, of course, depends on the platform. I do not mind ads on sites, as I understand they also need to make an income. However, GPTPlanet reminds me a lot of Eldibux which is another PTC site I have reviewed. These two sites have an extreme amount of ads compared to many other sites. Again, I do not mind ads, but the problem on GPTPlanet is that they pop up everywhere and sometimes even cover the content which makes it difficult to navigate. This makes the user experience on GPTPlanet very poor, in my opinion. Anyway, if you can live with that, it is definitely a site that has a lot of paid to click offers. But it also offers a few other ways to earn, as I will explain below. GPTPlanet has a section called GPTGrid. 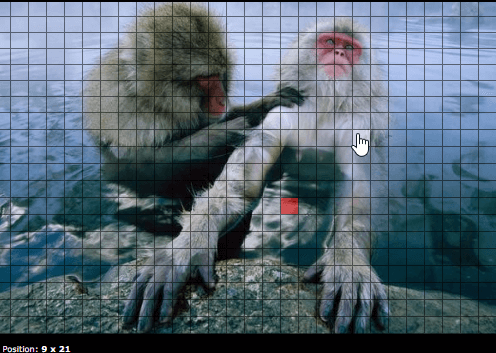 It is an image with a grid, where you can click a square in the image and then get a chance to win. The GPTGrid is kind of a lottery. When you click a square, a website will open and you have to watch it for 5-10 seconds and then you will right away be told if you have won or not. So in a way, it is very much the same as the paid to click option. With the grid, you do just not know for sure if you will get a reward or not. If you are lucky, you can win up to $1. But in most cases, you will not win anything or a reward that is a lot smaller. As a standard member, you can click 10 times per day. So obviously not a way to earn a lot. Even if you are really lucky, it will take a lot of clicks to earn any real money with this option. You can also find a couple of paid offer sections on GPTPlanet. There are a couple of offer walls where you can find paid offers but most of these offers are just additional PTC options. But there are also some offers that are about signing up for free trials, downloading apps, and more. However, the options here are limited and the same offers can be found on a site like ClixSense that in general has more paid offers and is more user-friendly, in my opinion. GPTPlanet does, however, also have an offer section called paid to sign up – in the menu of GPTPlanet it is called PTSU. This is a bit different from the usual offer wall. It is a place where people advertise other sites, and you can get paid to sign up through their link. Most of these offers are, however, in my opinion not worth. It might sound easy to earn $0.50 to sign up for a site through a certain link, but you have to be aware that there usually are conditions as well and a certain activity you need to do to get the reward. Remember to check the conditions for the PTSU option to see if it is really worth it. In the image above you can see an example of such a PTSU offer on GPTPlanet. You will earn $0.25 to sign up through a link, BUT you will not get that reward until you have deposited at least $3. Not really a great deal, right? To be fair, I also want to say that for many of these PTSU offers it is not a requirement you have to pay to get your reward. But there will more or less always be some kind of requirement you have to live up to or a task you need to do other than just signing up. So just be aware of this, so it does not come as a surprise if you do not get paid just to sign up. Make sure to read the exact conditions so you know what it takes to get your reward. Usually, a big part of PTC sites is to try to get other people to join. That is also the case for GPTPlanet. Many people love this idea as it is clearly difficult to earn much money just by your own activity. By referring others you can then earn commissions. This might sound appealing but it is not as easy as it sounds. It will take A LOT of referrals to GPTPlanet to make any real money as you only earn small commissions. And with the low rewards, you can figure out it will take a lot of people for you to even just earn a few dollars. To make it easier for you to get referrals, GPTPlanet makes it possible for you to buy or rent referrals. However, even though this might sound like a really easy way to earn, then you first have to calculate a bit. So let’s look at what it will cost you. Price example for referrals at GPTPlanet – notice the disclaimer above the price. 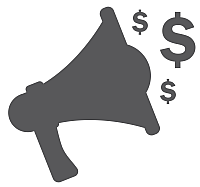 You can buy referrals for $2 per referral. If you buy many, you can get it a bit cheaper. If you rent, it will be around $0.75 per month per referral. 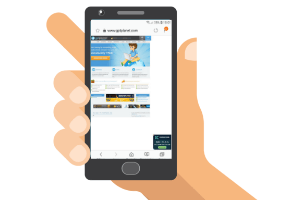 As you can see in the image above, GPTPlanet does, however, not guarantee the activity level of the referrals you rent or buy. It is just people that have joined without referrals you will get, and if you are lucky they will be active. If you are not, they will do nothing and you will then earn nothing. As a standard member, you will get 10% in commissions of the clicks your referrals make. If you upgrade (more about membership types below), you will get 100%. But even with 100%, it means a bought referral has to click 2000 times on the highest paying ads just to cover your cost of buying the referral. That is a lot of clicks and you can be sure not everyone will click this much. Some of the ones you buy might not click at all. I am not saying that it is not possible to make money with bought or rented referrals. I am just saying that before doing it, you need to do some calculations, as it is might not be so appealing when you take a closer look. At least you need to know the potential risk of it and be aware that it will not just be a fast way to make a lot of easy money. Also, be aware that to get any earnings from your referrals, you need to click 4 ads yourself every day. If you miss a day, you will not get any earnings the next day. Last but not least, if your referral does not have any activity for a while, they will be marked an inactive and deleted. BUT the catch is that GPTPlanet charges a $0.010 fee for deleting an inactive referral. So it can be risky to get referrals. Even if you get them naturally and without paying, it can end up costing you money. To me, this is clearly a system that is not very beneficial for the members but only for the owners. GPTPlanet has different membership types. You can join for free and stay as a free member if you want to. From the commission structure of GPTPlanet, it is, however, possible to see that they really encourage you to upgrade. What you will get with a paid membership is higher commissions for your referrals. GPTPlanet has four types of membership. The higher/more expensive membership you get, the more commissions you will get from your referrals. At first, it might not sound like a lot you have to pay for a membership. But if you do some calculations, as I showed you previously, you can see that it takes a lot of referral activity to be worth it. In general, I do not like reward sites that charge a fee for a membership like this. Especially not when it is built like this, where it looks very appealing, but if you calculate, it is actually quite risky, in my opinion. There are platforms where I think a small fee can be justified. A platform like Cointiply, for example, offers a paid membership. But it is only one type, and it is very cheap compared to the membership prices on GPTPlanet. And on Cointiply the paid membership is mainly to then get access to an ads-free platform. I think that kind of membership is fair, but I really do not like the paid membership types GPTPlanet and similar sites offer, as I think they are too risky. It might be possible to make good money with it, but you really need to know what you are doing or you can end up losing quite a bit of money. If you decide to start earning on GPTPlanet, you need to know how you will get paid. You earn dollars every time you have activity, and you can then get the money out in different ways depending on your preferences. 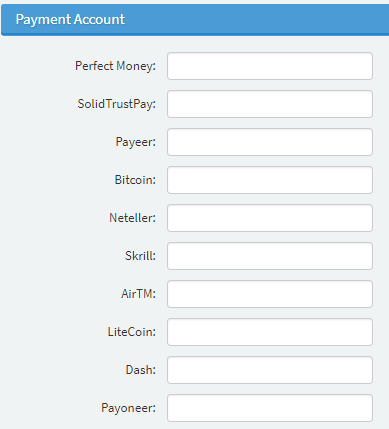 You can, for example, get paid through Payoneer, Bitcoin, Payeer, Neteller, Skrill, Perfect Money, and more. So there are definitely some good ways to get your earnings out. The payout threshold is only $1, but even though it is a low threshold, it can take some time to get there with the earning options GPTPlanet offers. Overall, I am really not impressed with the earning potential of GPTPlanet. Yes, you can earn some extra money. And if you use some of the paid offers, it can be a way to earn a bit extra. But it is not a lot you can earn unless you are willing to invest in a paid membership and try to get a lot of referrals. This does, however, come with quite a lot of risk, in my opinion. So if you are not careful, GPTPlanet can end up costing you money instead of making you any. When looking for online rewards platforms, I always look at how easy it is to use on mobile as well. Sites that can be used on mobile makes it easy to earn whenever it fits into your schedule. Also, in this area, GPTPlanet is not very user-friendly. The website is not at all optimized for mobile and it is quite difficult to use on mobile. You can, in theory, use it to log in and use the site. But it takes quite a lot of patience, and it is a way I would personally spend my time. One good thing about GPTPlanet is that you can join no matter where you live, and most of the earning methods are available worldwide. But no matter where you live, it will have limited earning potential, in my opinion. I would instead suggest you to check out the best sites in your country as there are sites with better opportunities no matter where you live. If you join GPTPlanet and should need help, you have two options. There is a forum with a lot of answers, and you might be able to get help there. If you need more personal help, there is a support option in the main menu where you can submit a ticket. It does not say how long the response time will be, but now at least you know the option is there if you decide to join and should need support. GPTPlanet is a legit site as you can earn on the site and it offers legit payout methods. This does, however, not mean it will be worth your time, and as you have probably guessed from reading this review, I do not really think it is worth it. But let’s finish by summing up the pros and cons of the site so you can get a better overview and judge for yourself. Yes, it is possible to earn some extra cash on GPTPlanet no matter where you live. But the potential is just not very big, in my opinion. The rewards are very low and to make any real money you need to invest in a paid membership and this can end up losing your money. In addition to this, the usability is very poor as it is not mobile optimized and ads often cover the content which makes it even harder to navigate. Overall NOT a site I recommend. There are so many great reward sites in more or less all countries. So I would instead suggest you to check out the list of the best sites in your country instead as these will give you more opportunities, in my experience. If you have any comments, questions, or have any experiences with GPTPlanet yourself, I would love to hear from you in a comment below. I am honestly not impressed with what GPTPlanet has to offer. Despite its name, it is mostly a PTC site with low rewards. To have any real chances of earning, you need to get a paid membership. If you do not know exactly what you are doing and start investing to earn on the platform, it can easily end up costing you money instead of making you any. It is therefore NOT a site I recommend.